Letter from Sister Shraddha to M.R Ahuja. 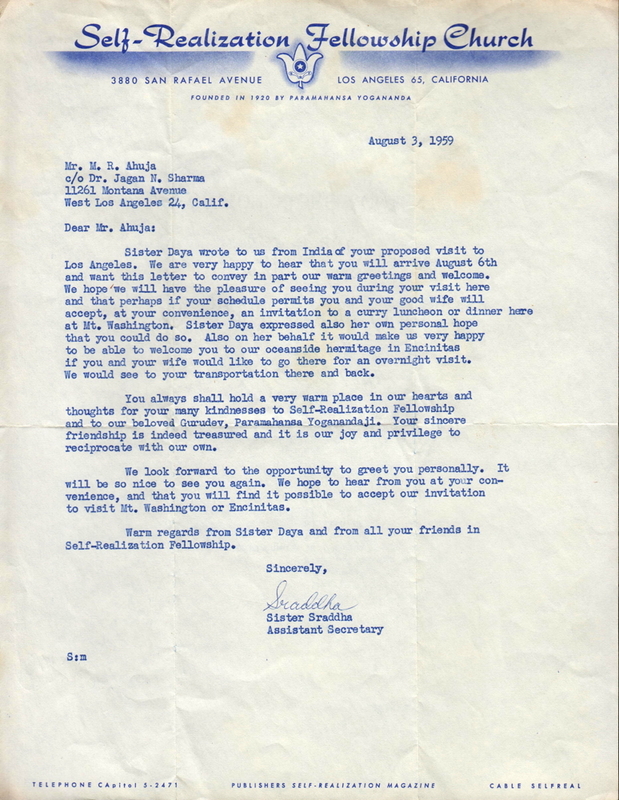 Letter is dated August 3, 1959. 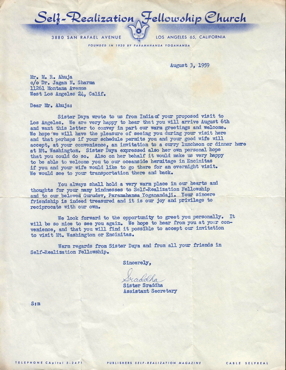 In the letter, Sister Shraddha discusses Ahuja’s upcoming visit to Los Angeles.